An altered bat allows you to take a previously restricted performance bat and make it perform at it’s highest level. Having a bat that performs at its top level will help you relax and build a repeating swing. Many players prefer to use bats that are at the highest performance level when practicing so that they can build confidence in their swing and decrease the tendency to overswing. Altering a bat usually involves shaving and rolling the bat to help increase it’s level of performance by creating flexibility. A great swing is developed in practice and using a bat that is performing at a higher level will allow the player to see what a relaxed swing feels like because the bat will not be holding him back. What is an Altered Bat? An altered bat is a bat that is mechanically changed to give better performance. Bat speed can be increased if desired by removing some of the weight out of the bat. Another option is to add endload weight to the inside of the endcap to increase the amount of inertia generated by the bat when making contact with the ball. Through altering a bat you are able to turn a lower performing bat into a top level bat. How is a Bat Altered? A bat is commonly altered through two processes - shaving and rolling. Shaving a bat involves thinning the inner walls. The bat is thinned on a lathe that removes a very minimal amount off the inside walls of the bat. Rolling is done by rolling the bat through two rollers while applying pressure. Shaving a bat helps to increase the bounce of the bat. Rolling will break in the fibers and give the bat’s surface more flexibility to bounce and pop the ball. Rolling accomplishes what would happen if you were to put 500-800 hits on the bat. The main difference is that rolling a bat accomplishes what would take months to do. The other advantage is that is does not put all the wear and tear on the bat that breaking in a bat naturally would do. You need to check with the leagues that you play in to see if they consider a rolled bat to be altered. While most people see rolling as simply breaking in the bat, some associations may or may not give you permission to do so. 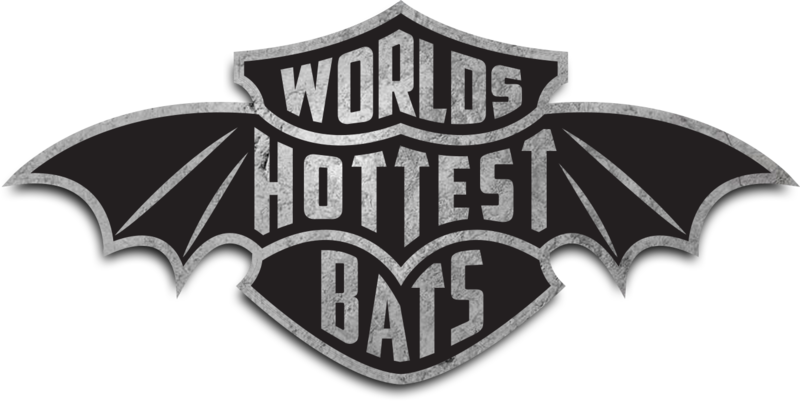 What Effects Does it Have on a Bat? Altering a bat by shaving and rolling it will usually add an average of 5-10 MPH batted ball speed. Figure on an average of an extra 5 feet of distance for every MPH increase. That would equate to average of 25-50 feet of added distance. These numbers would be typical of an adult using an altered bat. Of course there are many variables that affect this like swing speed, size and strength. You have to put more power into a swing to get a good result. With a bat that is altered the player always needs to check to make sure where it is legal or not legal to use such a bat. The major associations do not allow altered bats so you will not be able to use them in those situations. A great use for an altered bat is in practice to help you focus on form and not on what the bat is doing. Other places to use an altered bat is in pick up games, outlaw tournaments, exhibitions and home run derbies.